Employment First is a national initiative that encompasses policies, legislation, and system change efforts leading to increased community-based employment for people with disabilities. 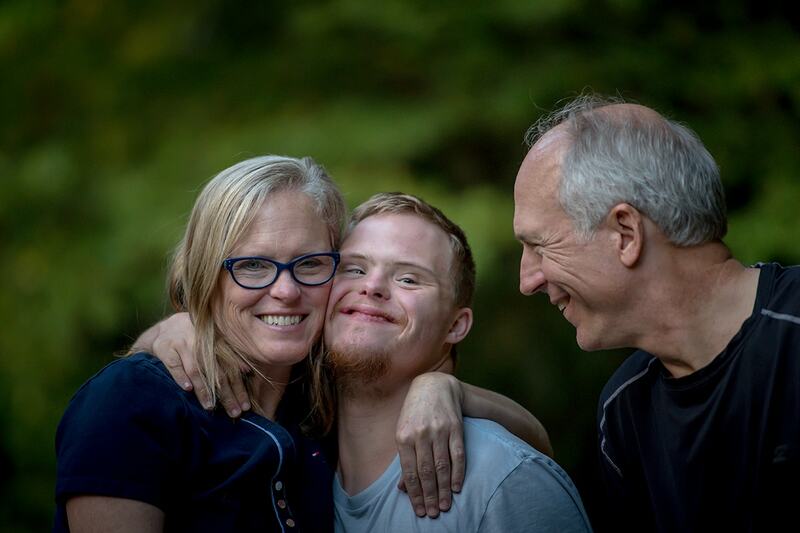 Employment First is a belief that community-based, integrated employment should be the primary day activity for working age youth and adults with disabilities. It supports an overarching goal that eligible persons with disabilities should have access to integrated work settings most appropriate for them, including the supports necessary to help them succeed in the workplace. Employment First does not mean employment only and does not deny individual choice, but is intended to increase employment opportunities for individuals with disabilities. 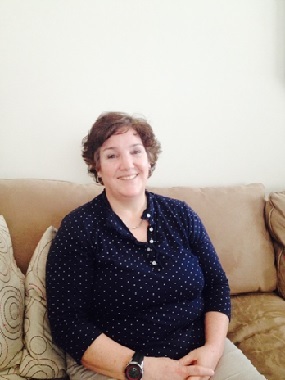 Rebecca sustained a brain injury as an adult, which has left Rebecca with long lasting challenges. Her family said when they first took her home from the hospital after the accident, she could not walk or talk. They had little hope she would be able to recover. In the last 10 years, she has made considerable progress, although she still struggles with short-term memory. Rebecca describes herself as similar to the woman from “50 First Dates”, with her memory retention limited to less than 24 hours. Through the SWI program, she was placed with a retail store that agreed to accommodate any additional needs she may have. Rebecca’s supervisors and job coaches were attentive to her needs and helped her find the right department to work in, allowing her the opportunity to try a few options. Her supervisor and job coach put signs on the time clock telling her where to go and reminding her every day where she worked. Her supervisor also would help explain the area each day in small sections, which over time she has been able to memorize and retain the information. She has also been able to recognize and remember her coworkers, which she is maintaining friendships with. Through her job placement with the SWI program, Rebecca has soared in the last year in her ability to work, memorize, and remember. Her supervisor and coworkers state that she is the most upbeat and positive person they have ever met, and Rebecca is an inspiration to everyone that works with her. Trey was so excited to get hired as an “official McDonald’s employee”. 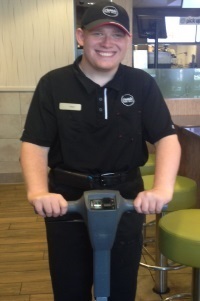 He is always inviting people to come and eat at McDonald’s when he is working his shift so people can see him work. He works very hard at his duties and goes above and beyond by holding the door open for customers and helping them find a seat after ordering. Trey’s manager says that he has been a great asset to their team, and does a fantastic job keeping the dining area clean. Trey’s job coach was able to help him through some difficulty at the beginning of his employment, but now he needs only very minimal coaching. Having this job has helped Trey feel like he is contributing and is more “grown-up” and provides opportunities for him to socialize, which he loves! Ranny has been attending a Day Services Program since 2003. She has participated in job tries throughout the community and during the school year she works for Utah State University’s food services. In May of this year, Ranny was hired as the sole landscaper for two office buildings in Cache Valley by a local businessman. Ranny landscapes five days a week and she and her job coach pull weeds, trim bushes, and rake. 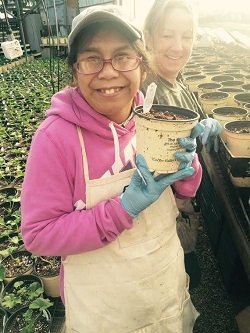 If you ask Ranny what her favorite part of her job is she will tell you, “pulling WEEDS!” When asked why she wants a job, her response is, “I don’t know. I just want to work.” Ranny arrives each day on-time and ready to work. She knows where her tools are and is very meticulous. The job was originally supposed to end in September, but the employer has been considering keeping her through October and possibly longer. In April, during Post High School’s Spring Break, Kaya opted to stay home and help out at a local assisted living center while her family was on vacation. When Kaya arrived, she dove right in and got to work, asking how she could help and acted as a companion to the residents, while helping with the daily laundry. After the break, when the owners were approached regarding the possibility of Kaya doing an internship with them, they did not hesitate to say, “yes!” The internship began in June with Kaya scheduling her daily pick-up and drop–off with the local transit system via text message to ensure she is at work on time. She is constantly seeking more work to do and loves to stay busy. She was so proud when she received her official name tag. 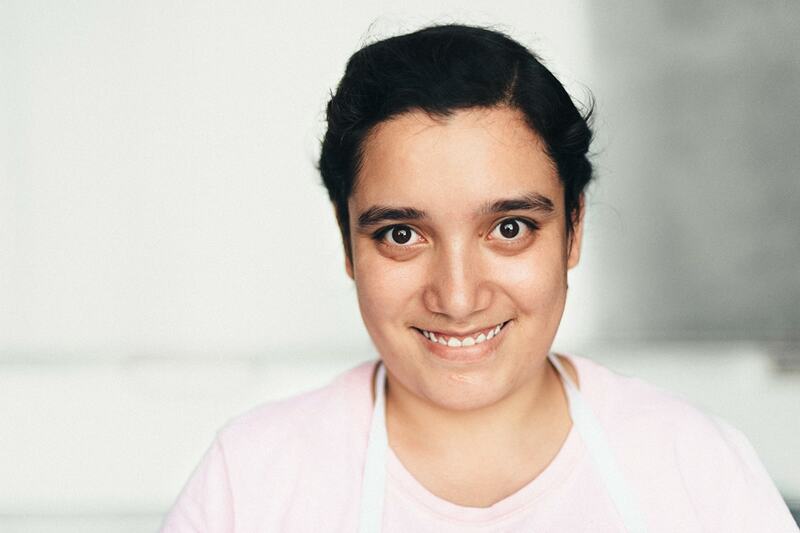 After job coach weekly check-ins, Kaya always has a smile on her face, and you can find her assisting one of the residents with eating (she passed her food handler’s permit test in June), doing laundry, singing with the residents, or painting their nails. 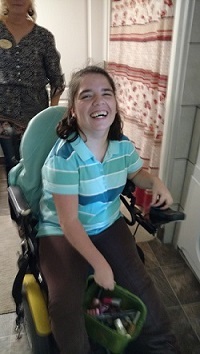 Kaya’s internship will end in September, at which time her employment with the assisted living center will continue, and she will maintain a schedule of 6 hours a week. 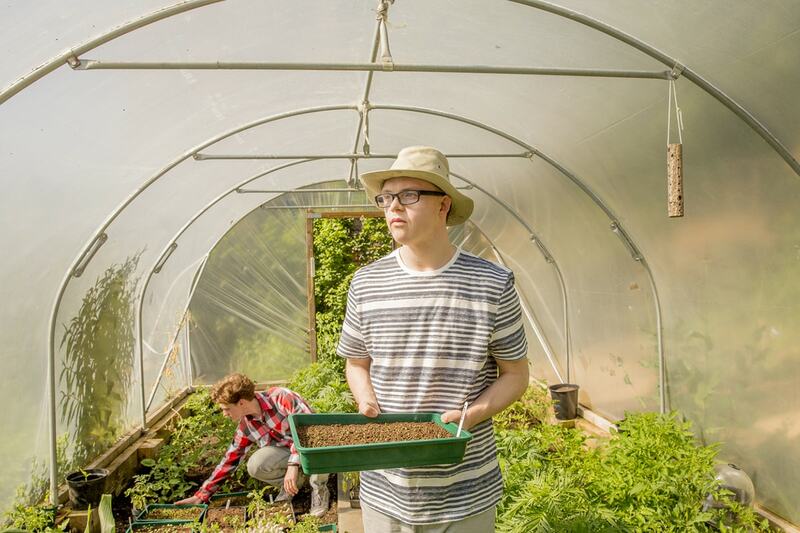 Our economy and society become more resilient when all people have the opportunity to gain employment in our community, including people of all abilities. Employment is key to the Division’s Mission Statement of supporting people to lead self-determined lives and be full participants in their communities. Employment can provide greater opportunities for self-determination and integration into the community. The Division is a named agency in Utah’s Employment First Priority legislation, 2011 House Bill 240. This law supports and gives priority to services that assist the person in obtaining and retaining meaningful employment. The Division has designed and is implementing a strategic plan for supporting the Employment First Initiative. The plan includes four strategic areas, (1) Stakeholder Education and Outreach, (2) Financing and Contract Methods, (3) Services and Service Innovation, and (4) Performance Measurement. The Division is collaborating with the national Employment First State Leadership Mentoring Program (EFSLMP) to develop each of these core areas. Additionally, stakeholders are collaborating in an Employment First Task Force. Is the Division closing day programs? Answer: The Division does not have a policy of closing day programs. Future opportunities of funding and supports may become more readily available to provider agencies increasing their supported employment efforts and services. What if I don’t want an integrated job? What about choice? Answer: Utah is an Employment First state. Employment First is based on the presumption that everyone who wants to work can do so, and that integrated work is the first priority. Informed choice helps people make the best decision for their lives. It helps them to look at the benefits of working and what kind of job fits their interests and lives. Those who do not choose integrated, community jobs may look at other community-based services such as day support services. Will I be less safe and will I still have friends if I work inthe community? Answer: Leaving a place where you have been for a long time can be scary, but it also brings new opportunities for others to come into your life. It does not mean you have to give up those friendships; you can make new ones to add to your life. Can Employment Services and Day and/or Residential Services be billed together? Answer: If the services are not overlapping at the same time of the day and the total hours do not add up above 24 hours a day, yes. What steps is Utah taking to improve job opportunities for people with disabilities? Answer: The Division is collaborating with people in services, providers, support coordinators, national agencies , and consultants. Additionally, the Division seeks grants to maximize opportunities for employment. The Division has recently required supported employment services before new day program services can be added an individual’s plan. Answer: Making transportation arrangements is a concern for ever family. It is understood that transportation for people receiving services is a consideration at the forefront when considering employment. It is important to consider transportation logistics as early as the beginning of the job exploration process and the work assessment. Always explore maximizing community supports to secure transportation access. 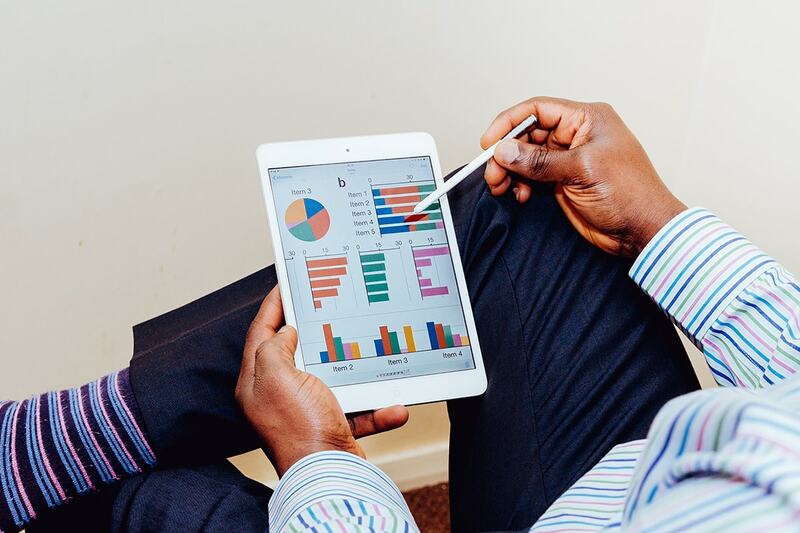 What can be done about disruptive visits at a job? Answer: It is very important for people to make visits. However, if you have a situation where a visit is embarrassing or disruptive to a person’s employment, let the Division know. People should not feel alienated. Considering coordinating with a job coach, talking with the person, and possibly the employer before going to the job site.